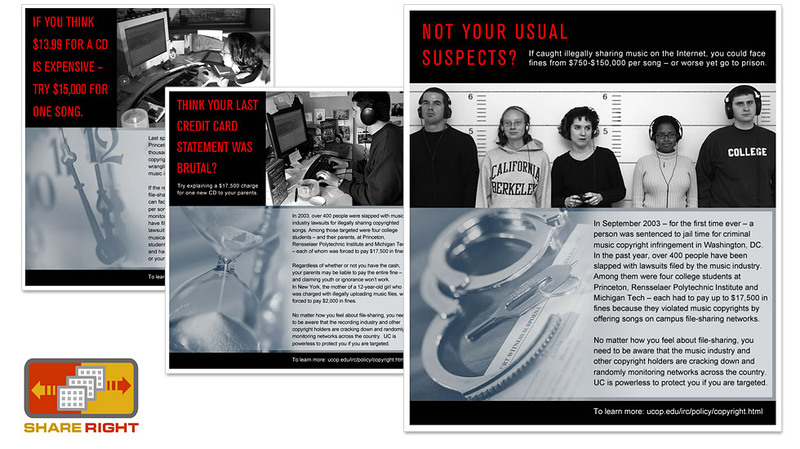 Awareness campaign developed for the University of California Office of the President targeting university students. The messaging and design focused on the downside of illegal file sharing. Components included a Web site with a downloads section, banner ads, posters, one-sheets, and t-shirts. Lead visual design, identity design, content strategy, front-end programming and photography.